KAMPALA–Veteran journalist Chris Ochamringa has joined titled entourage of ‘former NTV Uganda’ staffers. Ochamringa a news reporter and producer joins his long gone fellow reporter Isabel Nakirya at CGTN Africa. Chinese Global Television Network recently re-branded and changed its name from CCTV. The station continues to make inroads in covering Africa in as much the same way the People’s Republic of China continues to depend its foothold on the continent. Ochamringa, who is all smiles for what he calls “career change,” will be posted to DR Congo where he will be based for special reports. 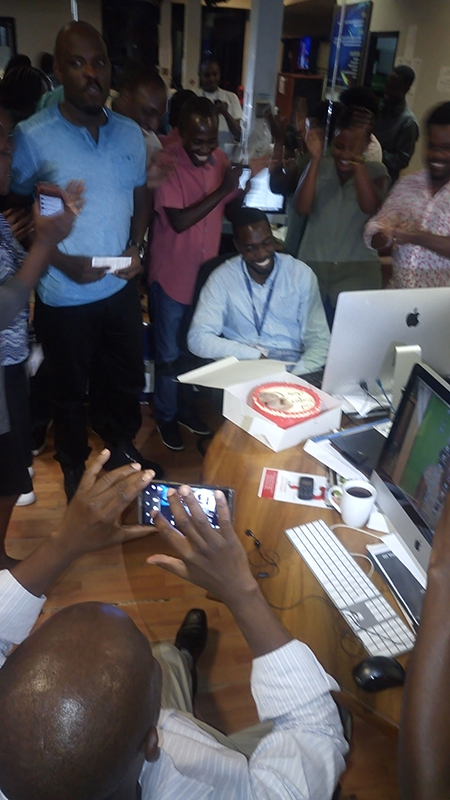 The soft-spoken journalist ended his time at Serena-based NTV with a farewell party his former workmates threw for him. What befell Cosase recommendations on Bank of Uganda, defunct banks?